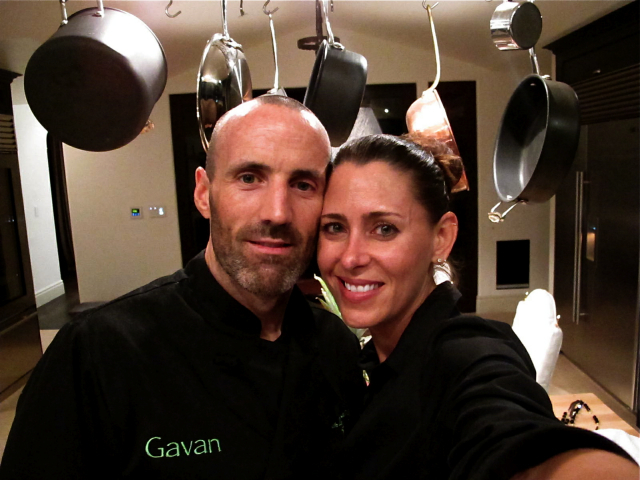 About Chef Gavan Murphy in his own words. I hail from the Emerald Isle, land of greenery, sheep, pubs and Guinness. Currently I live in Los Angeles, land of sunshine, traffic, movie stars and paparazzi. I’m most often asked what the #*%! does an Irish guy know about food, let alone healthy food? Had I been asked that as a kid I wouldn’t have had a clue, except for the fact that I just loved food. I pretty much ate all I was given plus anything else I could get my hands on, especially anything that was sugary and sweet. I didn’t grow up on fast food as the kids do now-a-days, nor did I grow up in restaurants. I grew up around the dinner table eating Mum’s creations. My Mum cooked the typical Irish fare of meat and potatoes every night, yet that was not the problem. The problem came in the form of cakes, biscuits, sweets and fizzy drinks, all of which were accessible in and around school. All of those sweets made me a chunky monkey. And to top it off I wasn’t into exercise and sports. It wasn’t so much that I was lazy, I just really didn’t want to have to get changed in front of others. I was embarrassed. I was the guy hiding in the toilets during P.E. class or the one wearing a T-shirt in the pool. Being a teenager is tough enough, being a tubby teenager is no picnic. Moving swiftly on. I became more aware of the type of food I was eating once I got into my mid-teens because I actually started playing sports and in conjunction with eating better, I began losing the weight. My love for food never dissipated, yet thankfully my sweet tooth did. Instead I began developing a new appreciation for eating proper food, which kept with me through my college years in Dublin. After college I headed off to Martha’s Vineyard for the summer where I got my first restaurant job washing dishes. I loved it. The hustle and bustle of the kitchen was electrifying. I worked hard but the chefs worked harder. I knew just from watching them that was what I wanted to do. Upon my return to Ireland I wasted no time and headed to the lush countryside of Cork to train at the infamous Ballymaloe Cookery School. Situated in the middle of a 100 acre farm, half of which is organic today, Ballymaloe was a pioneer in sustainable cooking. What was grown on the farm and what was locally reared is what we used in our cooking and what we ate. I learned the importance of eating fresh, farm to table food and the importance of using quality ingredients including meats. Pairing this knowledge with the way I grew up eating (I’m talking proper homemade food eaten at the dinner table NOT including the sugary stuff) is where my style and flavour were born. 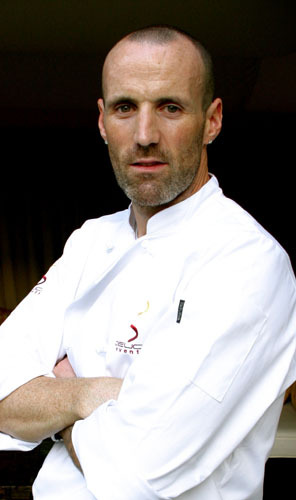 In 2000, after working in restaurants throughout Ireland and London, my journey landed me across the pond to sunny California–I couldn’t handle anymore of the Irish winters! Los Angeles, being the mecca of health and fitness (I saw that at Gold’s Gym) was the perfect destination to continue my career in healthy cooking. I began working for a number of prestigious L.A. based catering companies and was hired as a consulting chef on the Body-for-Life Program for EAS, a multinational sports and nutrition company. At that time Cindy Crawford was following the BFL food program so guess who was hired to be her personal chef cooking healthy nutritious meals? That would be me. Timing couldn’t have been better. With that experience under my belt I ultimately transitioned into working as a full time personal chef specializing in cooking healthy meals. I was fortunate enough to find true love at my local pub (I might be healthy but I am Irish!) and boy did I get lucky. Not only did I find a great missus but I also gained a great business partner. 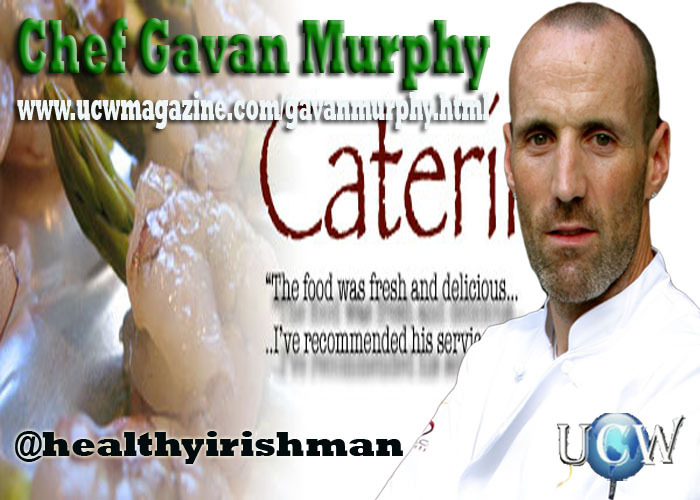 We started out with a small food blog called–wait for it–The Healthy Irishman (cheeky but spot on) showcasing healthy recipes. That idea snowballed into The Healthy Irishman, Inc., our stellar catering company here in tinsel town, which I’m very proud to be a part of with my missus. I’m also proud to say my recipes have been published in books and magazines and I’m a regular contributor to other websites. You name it, I do it, all in the sake of healthy eating. And I still find time to provide recipes for our blog, which is now a part of this site. Not too shabby for a small town Irishman! Of course I have bigger goals but my focus and passion remain the same with everything I do: to show people that cooking doesn’t have to be complicated and healthy food doesn’t mean bland or boring. We’re advocates of buying local, seasonal and sustainable foods and I encourage people to get away from the convenient “out of a box” food and to get back to the basics of home cooking. As far as I’m concerned, it doesn’t have to be flashy, just damn tasty! And that’s what an Irishman knows about healthy food.